Short Answer: You’ll have more cash in your wallet all year instead.,.. Most people don’t want to give the government an interest free loan for more than a year. They’re holding your money hostage while you may be cutting corners to cover all your expenses. You are not in any way required or obligated to overpay your taxes every year, so why put yourself at a disadvantage unnecessarily? Meet Suzie. She’s single and in her late 20’s. Suzie recently bought a house that needs work. Each room in the house really needs renovation. When I first did a tax return for her in 1986, she had a refund of close to $6,000. When I suggested she should make changes to bring home more money each week, Suzie explained why she was happier this way. You see, Suzie burned through every dollar that went into her checking account. She needed someone else to save up for her all year. Each year when she got her refunds, she renovated one room in the house. Instead of saving the $500 per month herself, she had her Uncle Sam do it for her. Not the best way to do it in my opinion, but it worked for her. Next meet Olivia. She’s also single, but she’s in her late ‘50’s and is a disorganized mess. Olivia is a sweet woman. She teaches second grade, and while a great teacher, she’s been doing it so long, she didn’t think so much about grown up things. Back in the 1980’s, the teachers didn’t get paid in July or August, and they didn’t get their first check until mid-September. As a result, poor Olivia had no income for 10 weeks. For her it was a very good thing that she got her $3,000 refund every June 1st, otherwise she would not have had money to maintain her home and pay for her household expenses for those 10 weeks. Why the large tax refund worked for them. So as you can see, for some, this interest free loan to Uncle Sam works out. They are usually the people who don’t have the discipline to manage their own money. For the rest of you, and those who are able to manage money and save for a rainy day, it’s better to bring home what’s been earned and what you’re entitled to. How to prevent that large tax refund. If you are an employee, you completed a scary form called a W-4 when you were hired. It had a somewhat intimidating worksheet at the top that many people just skip over. At the bottom you filled out your vital information and then had to decide how many “dependents” to claim. That is the key to how much is withheld. Here’s how it works. There’s no mystery to this. Every year the IRS publishes charts. If you want to look at this further, check out this year’s Publication 15, Circular E. The charts begin on page 47 of the publication. You don’t need a PhD to follow this step by step. Follow these thoughts to understand the process and make a small calculation. At the end you’ll see that you will have free help to make the change. The charts first based on how often you are paid – weekly (52 paychecks), every 2 weeks (26 paychecks), twice a month (24 paychecks) or monthly (12 paychecks). Once you’ve established your pay frequency you are classified as either Single or Married, even though on your tax return you might be something else (Married Filing Separately, Head of Household, or Qualifying Widow(er). But this form does not directly correlate with the tax return information. Next find the chart that shows your pay frequency and filing status. Scroll down the left column that lists the gross pay for each pay period. As you follow the columns to the right you will see how much is withheld from each pay check based on the number of dependents you claim on the W-4. Look at your most recent tax refund. Subtract about $500 for a buffer. The balance is the amount you can have during the year. By just dividing that by the number of checks you get per year, you’ll have the amount you want to add to your take home pay. Formula example with round numbers: You got a refund of $5,700 . Subtract $500 gives you $5,200. Divide by 52 (assuming you get paid weekly). 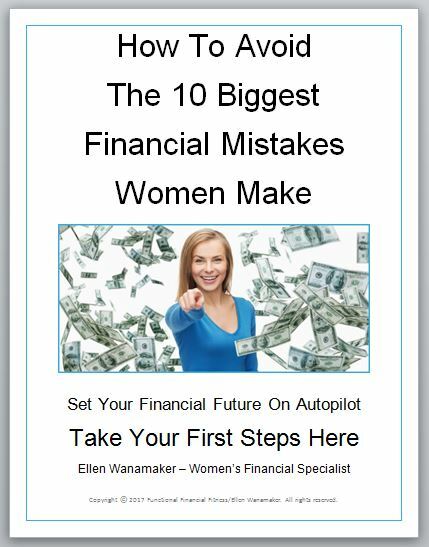 You can have $100 per week more in your wallet each week. Contact the individual or department that handles the payroll department in your company or small business. Tell them you paid in way too much and you need to adjust your withholdings so that you have extra money in your check. They will tell you to file a new W-4 with them. Tell them how much you over paid for the year (minus that $500 buffer). Ask them to look on the chart to tell you how many dependents you have to claim so the over payment is divided evenly into your pay checks..
Just complete the new W-4 based on their instructions, and you’re all set! Still can’t get it done? Contact me and we’ll calculate it at no cost. Simply message me your details here and I’ll contact you to schedule a complimentary Brainstorming Session. This entry was posted in Planning, Taxes. Bookmark the permalink. I love the examples and how easy you make this.